. Published on November 12, 2018. VoIP has gained a lot of popularity over the years and there are now millions of VoIP users around the world. If you, however, are hearing about VoIP for the first time or you’ve heard of it but you do not really know what it is, then here is what you need to know. What this means is that VoIP is a system of communication which transfers the conventional analog audio signals, like when you make calls on the phone (Voice), through the internet (over Internet Protocol). In the presence of a working internet connection, VoIP allows for calls to be sent digitally over the internet instead of through a telephone company. In other words, VoIP is a telephone connection carried over the internet. This method of connection is very useful, especially for long distance calls. With VoIP, you can make a call to anywhere around the world without worrying about long distance fees or international charges. Many people prefer to not only make long distance calls with VoIP, but use VoIP for all of their phone calls and communications. This is because VoIP generally offers lower call rates than traditional phone companies. VoIP is very useful for businesses. If you are a business owner, you most certainly make a lot of phone calls on a daily basis and it probably costs a fortune to be making them all, even with the “cheapest” operator. VoIP comes to rescue in this situation. A lot of businesses have already been using VoIP for years and have traded the services of traditional phone companies for those of VoIP providers. VoIP providers are the companies that are tasked with the responsibility of providing VoIP services for both private and commercial customers. VoIP providers are more popular among commercial customers. This is because they are the ones who make the most calls. The larger the number of calls you make regularly, the more likely it is that you would benefit from VoIP. VoIP providers are also referred to as Internet phone service providers. VoIP providers generally provide VoIP software and package to customers at a fixed monthly rate. All customers need is the necessary telephone equipment and the devices they’ll use, as VoIP software needs to be installed on a device. VoIP software generally comes with different names depending on the provider, but the most common keywords for identifying a typical VoIP software is ‘virtual phone system’. VoIP systems are commonly labeled virtual phone systems because that is the basis on which VoIP operates. When you get VoIP on your device, you will be assigned a virtual phone number, and although this number is exclusive to your IP, it won’t necessarily be shown to the people you call. 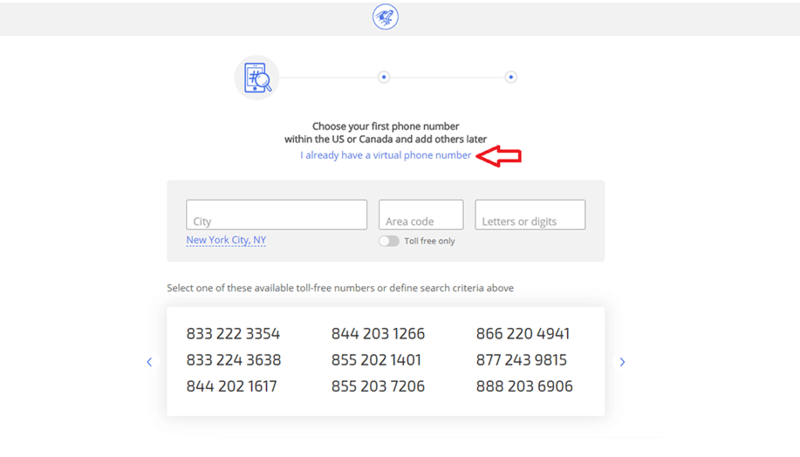 You will be given the option to choose a number that will be shown to those you call. All these options are overseen by your VoIP or virtual phone system provider. When choosing a virtual phone provider, it’s important that you choose a company that best fits your needs. We have made it easy to compare VoIP providers and help you determine which is best for you. Why Is VoIP Preferable to a Traditional Phone system? VoIP is gradually gaining more popularity over the conventional telephone system because it is way cheaper and more convenient. The cheap nature of VoIP is due to its method of transmission. While telephone companies transmit calls through the circuit-switched telephony, VoIP typically transmits calls over the internet using the packet-switched telephony. VoIP calls are like normal telephone calls, but they are made over a high-capacity and high-speed internet connection and not over a telephone line. VoIP users only need to worry about the cost of their internet access, as they do not have to pay for the transmission of their calls over traditional telephone lines. This makes VoIP a preferable option to the traditional phone system, especially for those who make long distance calls. With VoIP, there are no base international charges when you make international calls because your calls are not being transmitted over telephone lines but over the internet. After paying the cost of your internet access in the form of a monthly subscription to your VoIP provider, you can make all the calls you want without worrying about the price of each one. How Does VoIP Work on a Day-to-Day Level? While you might have grasped on the surface that VoIP works by transmitting calls over the internet, you might want to know the technicality of how VoIP works, especially if you are the type that wants to know everything they can about things you use. You dial the number of the person you wish to call. There is a switch at your local operator where the call is routed to the person you’re calling. After routing, a connection is established between your phone and the line of your recipient. This connection is made possible by the use of many interconnected switches. The successful connection makes the phone at the other end ring for the call to be picked. Once the call is picked up a circuit will be opened. The circuit remains open for the duration of the conversation. When you end the call, the circuit closes. Your line and the other person’s line becomes available again. Traditional phone systems operate with the Public Switched Telephone Network (PSTN) because connections are in form of circuits which are constantly being switched. While this method is dependable, it is inefficient. It is inefficient because when you make a call and the call is picked up, a circuit is automatically opened and transmissions begin at a fixed rate. This is usually about 64 kilobits per each second of the connection, both in your direction and the direction of your recipient. So during a 5-minute call, about 4800 kilobytes of data is being wasted as data transmitted in both directions throughout the call. Hence the introduction of VoIP to deal with this inefficiency. VoIP operates based on packet switching. This is an effective replacement to circuit switching. VoIP packet switching works in this manner: During a phone conversation, both parties most certainly won’t be talking at the same time, as you would be listening while the other person talks and vice versa. That is, at any particular time during the call, the connection in use is only about half. By doing this VoIP already cuts down the 4800 kilobytes used by the circuit switching of traditional phone systems in a 5-minute call to 2400 kilobytes. VoIP systems also take the existence of non-significant sound transmission during a phone call into consideration. In the split seconds during a phone conversation when both you and the other person are quiet, there is no need to transmit data, so these seconds are removed from the transmission, making the connection data even smaller. This is why calls with VoIP are significantly cheaper than regular phone calls. Instead of transmitting data to and from simultaneously during a phone call like the traditional phone system does or transmitting dead air during silent intervals within conversations, VoIP transmits data only in one direction at a time and removes the transmission of silent bytes, sending only a packet of useful sound bytes. It is essential to note that although all VoIP based phone systems work in a similar fashion, VoIP services are not the same across all platforms. VoIP services depend on VoIP providers. If you are a business owner and you are looking to get a VoIP phone system for your business or you are an individual looking to get VoIP to reduce your calling expenses, especially on long distance calls, then there are certain things you need to look for when choosing the best provider. How Do I Find the Most Suitable VoIP provider? There are a lot of VoIP providers out there and trying to figure out which one would be suitable for your needs might be a difficult task. While looking for the perfect VoIP provider, you might want to make use of these tips to guide you in your search. Find out the kinds of different VoIP services rendered by different providers. Now that you know there are different kinds of VoIP services, before jumping to choose a provider, you should know which services they offer. You should go for a provider that has a wide range of services. The more services available, the more your options you get. This is important because in the future you might want to make a decision to change the purpose of your VoIP usage. Your provider should be versatile enough to be able to support your different choices. This way you won’t have to start looking for another provider whenever you need a new kind of VoIP service. Research the costs of different providers and compare them. Cost is an important factor in determining a good provider. You should take your time to weigh the different costs different providers offer before choosing one. Don’t allow yourself to be overcharged. Too high of a price and you’re probably throwing money away. As there are hundreds of providers out there, you will get a good rate if your search is thorough. Don’t opt for the cheapest option however, as you will probably get poor service (which means your clients will get poor service too!). Be on the lookout for after sale services. You may just want to get VoIP for your business or for any other reason and you may not want to become an expert. That’s why the VoIP provider you are choosing should be able to provide technical assistance after you make the purchase, as you might not know how to go about installation or some other stuff on your own. A good VoIP service provider won’t just sell you a VoIP service, but also be readily available to provide necessary post-sale services like installation, service registration, and troubleshooting. Your provider should also be in place to help whenever there are cases of malfunction. Your provider should support porting. Porting generally is the process of making software adapt to an environment for which it was not originally programmed or intended to execute in. In the case of your VoIP provider, they should be able to allow you to port your existing number. When you get VoIP, your provider assigns a certain virtual phone number to you. You could have multiple numbers too, depending on your provider and your agreement or plan. You may one day decide to switch providers for one reason or another, so a good VoIP provider should allow you to keep your number in this situation. You shouldn’t have to start with a new virtual or toll-free number when you decide to switch VoIP providers since you likely used the existing one in your business ads and campaigns. Be conscious of your internet connection. When choosing a VoIP provider, you should make sure you know your type of internet connection. This is because regardless of which provider you decide to choose, you should have a stable and strong internet connection that supports your communication network. You should find out which internet connection line a VoIP provider uses before deciding to go for it. Some VoIP providers make use of leased connection lines while some make use of dedicated broadband connection lines. It is recommended to opt for the ones with dedicated broadband connection lines. Although leased connection lines provide good voice quality, dedicated connection lines provide connection at a higher internet speed. Find out which network a VoIP provider gets its services from. This is another thing you should find out. It is important to check if your provider runs its service from its own network or is a rebranded service. It is recommended to always choose providers who run their services from their own network. People who opt for VoIP get it for different reasons. These different reasons for VoIP brings about different kinds of VoIP services. What Different Kinds of VoIP services are There? This kind of VoIP service is an alternative to the traditional home telephone system. In residential VoIP service, your phone is connected to your home Wi-Fi through an adapter or a modem, and your calls will be through VoIP. You are billed monthly at a particular rate, either for unlimited calls or for a given number of minutes depending on your agreement with your VoIP provider. This kind of VoIP service is somewhat common in the U.S and Europe. Residential VoIP service is suitable for people who make most of their calls from home and are comfortable with using a landline. Device-based VoIP service, as its name implies, provides VoIP on a device. You buy this device from your VoIP provider and you immediately can start enjoying VoIP. In device-based VoIP, there is monthly bill. Once you get the VoIP-based device, you can connect it to your telephone equipment and start making VoIP calls. You only need to reload the VoIP credit on this device once you’ve exhausted the previous funds. This is the kind of VoIP service that comes in a software package. With software-based VoIP service, you can turn any device that can connect to the internet and run software into a form of communication. This software emulates a phone, and is referred to as a softphone. This kind of VoIP comes in the form of an application, which you install on your device of choice. With software-based VoIP you can make and receive calls from your computer, using your audio input and output devices to talk and listen. This type of VoIP service is the most common in the world. Mobile VoIP service is becoming more and more popular each day, gradually driving down demand for traditional phone service. With mobile VoIP, you can carry your VoIP easily with you everywhere you go. All that is required is getting a VoIP mobile app and a data plan or form of subscription. This VoIP service is for business organizations and companies. On average, business organizations make and receive most calls, and this makes them best fit to use VoIP. Not only do a lot of businesses, big and small, save a significant amount of money on communication with VoIP, they also enjoy a variety of VoIP features that help businesses grow. Call recording is a feature that enables you to record calls but also to systematically store and order call records according to different criteria of your choice. Call distribution lets you handle high call loads. As its name implies, it helps you distribute calls. When calls come in and you have the call distribution feature enabled, these calls would be dispatched accordingly to the appropriate destination. With VIP calls you get to create a list within your phone system, where you keep the names, numbers or any other form of identity of anyone you wish to give special preference to. When these customers call, they are given priority and are attended to first. VoIP not only supports voicemail but also has a voicemail text feature. This allows you to be able to receive voicemails in the form of text. Providers like MightyCall come with a highly well-designed voice recognition system which ensures 100% accuracy of voice to text transcription. Conference calling allows you to talk to different people at the same time. It helps entrepreneurs save time and resources. In the real world, it is not always possible to have members of the same team in the same place at the same time. You may have employees working for you remotely. Conference calling helps you handle this kind of situation perfectly. These and a whole lot of other features are available in most VoIP systems. If you are not yet a VoIP user, now is the time to sign up for VoIP and save a lot of money to enjoy a fast and reliable communication experience. An affordable call center software solution can help restaurants increase their business and enhance customer relationships. Check out our updated article with easy-to-implement tips and tricks.